Get away this Thanksgiving to the all-inclusive Mayan Princess Beach and Dive Resort in beautiful Roatan, the largest of the Bay Islands, and one of the world's best kept secrets. Privileged by its location along the Mesoamerican Reef, this 77km-long island is known for its beautiful white-sand beaches, turquoise waters, breathtaking sunsets, and world class diving. 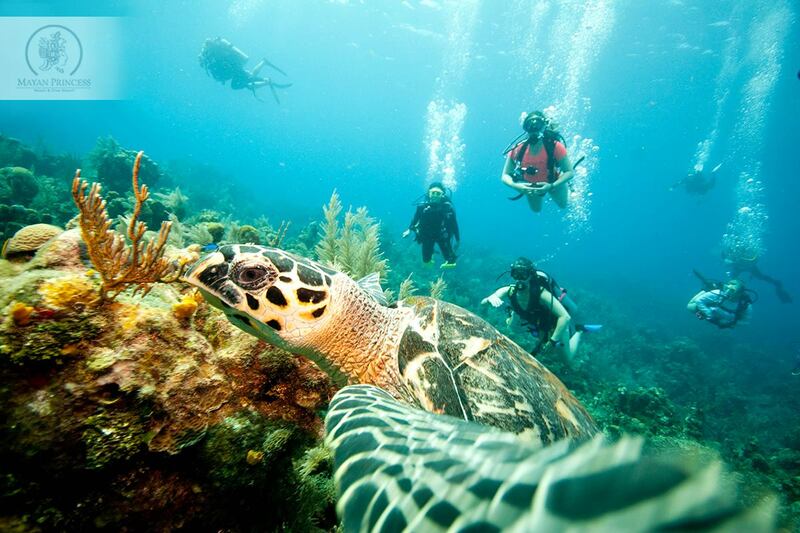 Enjoy stunning underwater views and a chance to see more than 850 marine species. Home to sea life from turtles to manatees and a variety of colorful hard and soft corals, sea fans, sponges, and more, Roatan truly is a diver's paradise. The reef itself begins just minutes from shore, with plateaus at 10ft, 20ft, and 45ft and then the amazing wall that drops away in places to over 2000+ feet. Our crystal clear waters, warm weather and weak currents make up the perfect conditions for any diver, at any level.